Sony Pictures Entertainment has canceled the planned Dec. 25 release of the movie “The Interview” after a decision from theater owners, including Celebration! Cinemas and AMC Entertainment, not to show it on their own. All five of the United States’ largest movie theater chains — AMC Entertainment, Carmike Cinemas, Cinemark, Cineplex Entertainment and Regal Entertainment — in addition to Grand Rapids-based Celebration! Cinemas had decided against showing “The Interview” following the threats of terrorism issued by the hacker group, Guardians of Peace. Although the U.S. Department of Homeland Security responded by saying they could find “no credible info” on planned attacks, Sony has decided to place the decision to screen the film in the hands of theater executives. U.S. officials have linked North Korea’s government to the Sony hacking, The New York Times reported. Guardians of Peace earlier today had announced it was responsible for the Nov. 24 Sony hacking and was threatening a terrorist attack comparable to 9/11. 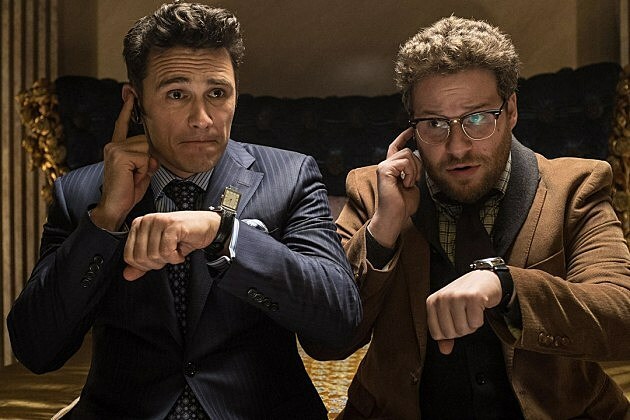 Theater owners had been seeking increased security if they chose to screen the comedy film, a farce about two American journalists (James Franco and Seth Rogen) playing unlikely assassins in an attempt to assassinate North Korean leader Kim Kim Jong-un.